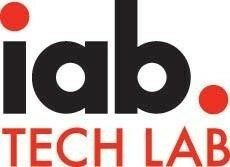 PHOENIX--(BUSINESS WIRE)--IAB, the national trade organization for the digital media and marketing industries, was joined today by the IAB Tech Lab in honoring outstanding digital marketers in a variety of categories; sales excellence, service excellence, and for the first time educational excellence. Winners of the 2019 awards were announced during the IAB Annual Leadership Meeting at the JW Marriott Phoenix Desert Ridge Resort and Spa in Phoenix, Arizona. "Excellence in advertising sales is driven by creativity, proactivity, curiosity, and partnership," said Sue Hogan, Senior Vice President, Research and Measurement, IAB. "These individuals exemplify these characteristics and are moving the industry forward through their daily contributions. By recognizing their achievements, IAB hopes to inspire the continued advancement of the industry." "Dedication and commitment are two long words for time and energy. The winners of the IAB Service Excellence Awards have chosen to donate many hours and ideas to accomplishing industry-changing work through IAB initiatives," said Anna Bager, Executive Vice President, Industry Initiatives, IAB. "The future of digital advertising will be shaped by their work on the most complex and challenging issues facing us today including brand safety, attribution, Digital Out of Home (DOOH), and more. I applaud and thank them for their service." Gina Garrubbo, President and CEO, National Public Media, for delivering support that was essential to the success of the Audio Committee's Audio Day this fall in Boston. More than 100 brands and marketers attended this afternoon of programming about digital audio. Les Hollander, Global Head of Products and Partner Sales, Spotify, for initiating the idea of exploring brand safety in digital audio, and then leading a working group that produced the paper, "Digital Audio's Role in the Brand Safety Conversation: Protecting Marketers' Investments." The report received strong press coverage and offered an overview of digital audio's brand safety advantages. Paul Lenhart, Senior Director Strategic Partnerships, OUTFRONT Media, for advancing the development of the "Digital Out of Home Metrics Glossary" by unifying discussions and helping solidify definitions of essential terms. Valentina Marastoni-Bieser, Senior Vice President, Marketing, Cuebiq, for serving as co-chair of the Data Benchmarks & Activation working group. Valentina's creativity and expertise were instrumental in the development of the Defining the Data Stack project. Sable Mi, Senior Vice President, Research and Insights, NinthDecimal, for developing a project to investigate industry opinions about the value, application, and future of mix media modeling (MMM) and multi-touch attribution (MTA). Under Sable's leadership, the MTA Committee has embarked on a multi-phase initiative that has sparked great enthusiasm. Chris Murdough, TV Advertising Analytics, LiveRamp, for his valuable and consistent assistance on the "Advanced TV Buyers Guide." He offered insights, ideas, and solutions, and helped the group come to consensus on the centerpiece of the document. Floriana Nicastro, Director, Mobile Product Strategy, MediaMath, for helping IAB establish a common framework for "5 Questions to Evaluate Your Identity Partners." She advanced the industry toward a common ground, related to identity, from which everyone involved in the buying and selling process can work. Nicole Pace, Vice President, Marketing, Rakuten Marketing, for providing valuable insight on the "Influencer Marketing for Publishers Guide," and writing much of the text in the disclosure section that provided helpful perspective on FTC guidance. Nicole Pike, Managing Director, Nielsen (Esports), for contributing expertise and industry data about esports to the "Marketer's Guide to Esports: How to Get in the Game," and sharing the guide with the larger esports marketing community. Ryan Pogy, Sales Director, BroadSign, for actively contributing to the development of the "Digital Out of Home Metrics Glossary." Ryan's background in media measurement and analytics, as well as his ability to articulate historical context around terms, proved invaluable to the creation of the glossary. MediaMath New Marketing Institute (NMI) - For the past 7 years, this organization has consistently demonstrated excellence in developing customer-facing training programs that meet client learning needs. In addition, it has built award-winning education initiatives that are available to the general public and elevate the industry's readiness for and awareness of programmatic technology. Cox Enterprises (Cox Media Group's Parent company) - This organization has been a leader in supporting the personal development and learning ambitions of its employees, even as this ever-changing industry adopts new policies, practices and trends. Its industry knowledge goes beyond its own organizational walls and has been instrumental to the development of IAB certification exams.